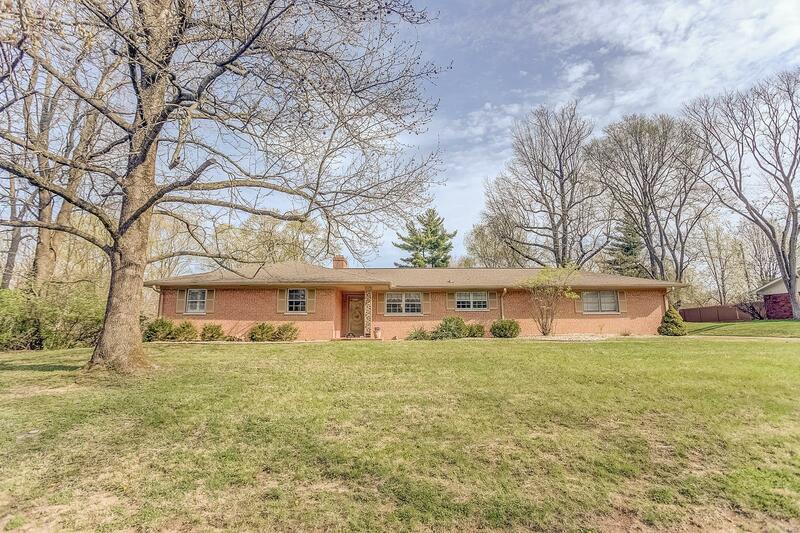 Spacious Mid-Century 1 story ranch with walkout basement is loaded with character!!! This full brick home sits on a cul-de-sac with gorgeous mature trees. Foyer entry leads to sprawling living room/dining room combo that sheds incredible light through the massive bowed window. Wood burning fireplace provides warmth and ambiance in the cooler months. Large kitchen with ample cabinets has adorable breakfast nook. Main floor master hosts enormous closet and private bath. 2 additional bedrooms freshly painted with wood floors, plantation shutters, newly carpeted hallway and a full bath complete the main floor. Have fun entertaining in the nostalgic basement that features 12 x 12 black and white tile floors, wood paneling walls, wood burning fireplace and wet bar. Sliding glass door leads to private back yard with endless possibilities! This home is priced to sell and will not last. Schedule your showing TODAY!! !